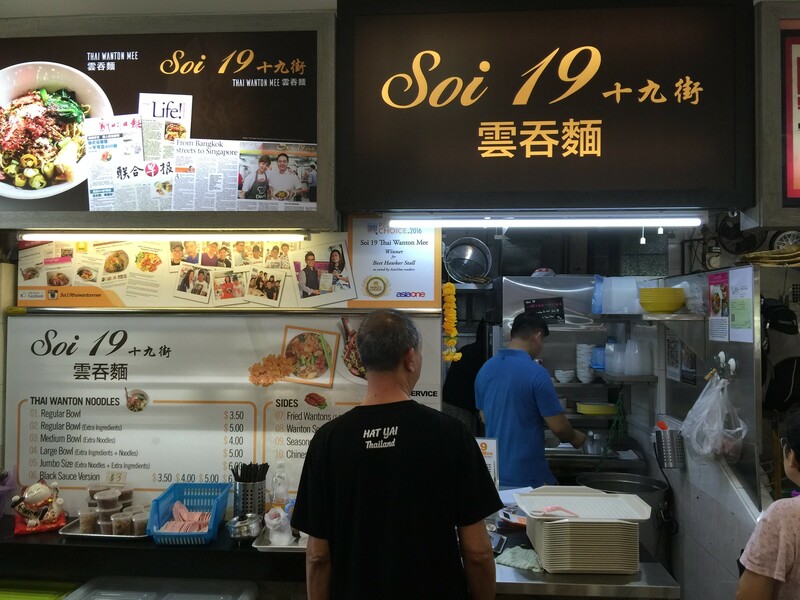 The popular Soi 19 Wanton Mee has opened a second outlet at Jurong East. Those staying in the West like me, need not travel the distance to Ang Mo Kio and queue for at least an hour for the wanton mee any more. The new outlet is located inside BGAIN 130 Eating House just beside Jurong CPF building. There was no queue during my visit. Probably not many people is aware of their new outlet yet. After browsing through the menu, I decided to just go for the Thai Wanton Noodle regular bowl ($3.50). It also comes in large bowl ($5) and jumbo size ($6). I regretted not upsizing as the portion of the regular bowl is rather little. I was not full after having it. 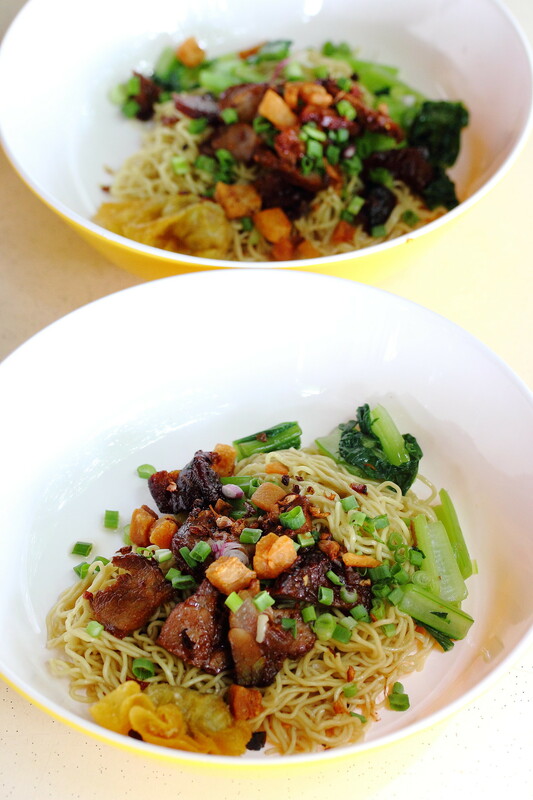 The Thai style wanton mee does not come with a sauce. It only comes with the egg noodle, fried wanton, vegetables, char siew and a bowl of soup with wanton. Although the wanton noodle does not come with a sauce, you are free to help yourself to the condiments such as fish sauce, chilli flakes, sugar and green chilli, the way the local Thai likes to have their noodles. After trying Soi 19 Wanton Mee, I understand why it is so popular. 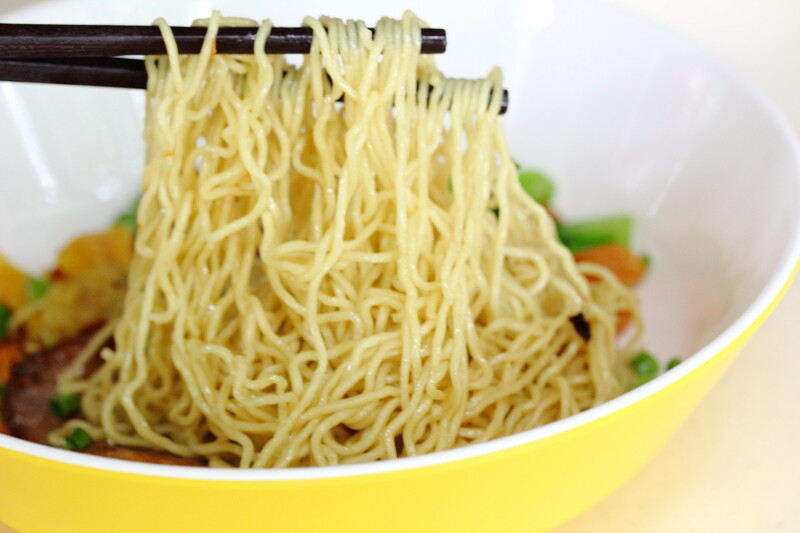 The star has to be the springy egg noodles that is cooked to al dente. 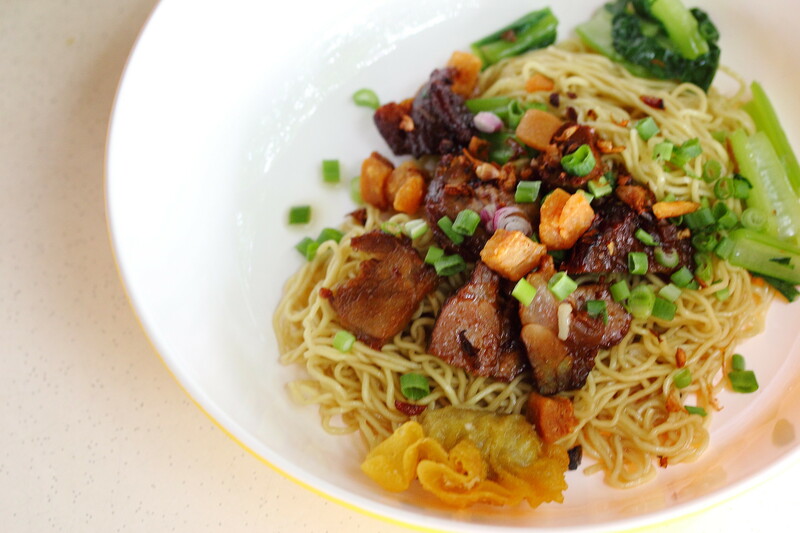 Even though there is no sauce or gravy, the fragrance and texture of the egg noodle coupled with the pork lard is sufficient to elevate the whole enjoyment. I prefer to add a bit of the fish sauce and chilli flakes to give the flavour a further lift. 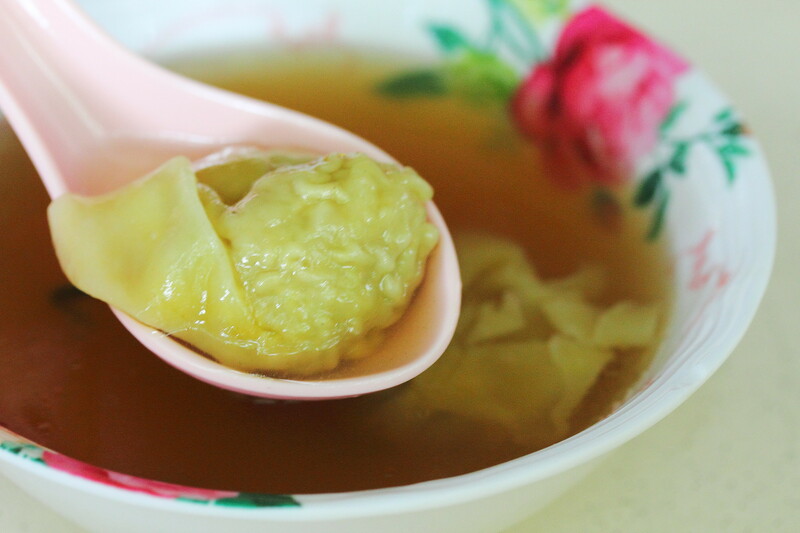 While the dumpling is meaty, I find the wanton skin on the thick side and lacks the robustness of a good wanton filling. Overall I would recommend trying Soi 19 Wanton Mee. Currently not many people knows about its second outlet yet, so do find time to go and try it before the queue starts forming. I also noticed that the stall has introduced a new black sauce wanton mee on their menu. I have yet to try it but do let me know how you find it, if you have tried it.